Being webmaster, you want your website to be surfed by every internet user. But, you must be worried about website data security. 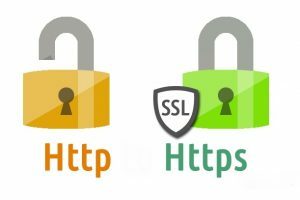 If you want your website traffic to have secure surfing, one should have an SSL certificate on their website. You want your website traffic to put their private information like name, address, bank details etc. This date is to put on your website for any transaction, signing up newsletter etc. Internet users are very smart they look whether your website is safe to use. They recognize that with the website address. If the website address starts with http:// then the website is not safe to surf and to put private information. It the website address contains https:// then the website is secured by the SSL certificate. So, the traffic trusts your website interact with it and also return again and again. SSL (Secure Sockets Layer) certificate is installed on the website. The most important reason to install SSL to protect the sensitive information of the user, which is sent between the user device and the hosted servers. If the information like debit/credit card details, user passwords etc can be hacked by the hackers easily and steal the information for their use. With SSL certificate encryption of the sensitive information is done, so that hackers cannot see the information and so the user can do surfing without any worry of hacking. Data Encryption – With SSL certificate your personal data will be encrypted and secured. Website Verification – SSL certificate is given to only authorize webmaster. Before applying SSL, certificate website owner is verified through various methods. Choose the best and cheap web hosting provider where they provide best hosting services with SSL certificate for the security of your website.